Today’s economic meltdown has caused a lot of people to lose their jobs. There is little wonder that a lot of people are also lagging behind on their mortgages and if the downhill course will continue, will face foreclosure. Before that will happen, here are some practical foreclosure help that may save your property and will allow you to stay in the place you call home. Some people, when they are faced with a dire situation like an impending foreclosure, would panic. This should not be the case, instead, you should sober up, face you situation and analyze it properly. The first thing that you should look at is your spending and your income ratio. If you are living beyond your means, then you would normally have problems. Literally list down your monthly and daily expenses and delete from the list those that you can live without like gym membership, movies, cafes and night outs and simplify your lifestyle. You would be surprised at how much savings you can make if you do this. Another advantage of simplifying your lifestyle is that you can focus your energies with what matters most and that is to pay your mortgage and avoid foreclosure. When you begin to focus your energy, you will surely realize that things are beginning to change in your favor. Another error that a lot of people make when facing a potential foreclosure is to avoid communicating with their lenders. This should not be the case considering that lenders are not interested in foreclosure, but would rather do everything so that you can pay your mortgage. You see, foreclosures are costly and time consuming and most if not all lenders would rather work with their borrowers and help them pay rather than foreclose them outright. So instead of avoiding your lender, communicate with them and inform them of your current financial situation. Provide them with the information concerning your income and expenses and ask them for advice. If the lender is fully aware of your financial situation, they might come up with a new payment scheme or stop your payment for a little while just to give you some breathing room. If you communicate with your lender there is a possibility that you could get a loan modification as a foreclosure help. Loan modification prevents foreclosure by changing the terms and condition in favor of the borrower. This can be a reduction in the interest rate, a change from floating to fixed rate, reduction of the capital, limiting the monthly payment to a percentage of your income, reducing the penalties and other fees, lengthening the loan term and mortgage forbearance program. Any one or more of this will be done just so that you can pay your mortgage again on the regular basis. This can also work in favor of the lender because you have to remember that you are both trying to avoid foreclosure because it is disadvantageous to both parties. Lenders know that they are better off working with their clients than going after them. 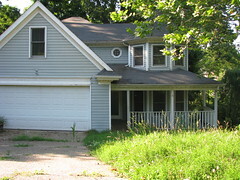 Another way that you can work out with your lender to avoid foreclosure is a short sale. In this method, you would end up losing your property but you still save yourself from the inevitability of foreclosure. In this case, you would have to sell your property at a price lower than its appraised value and pay its proceeds to your lender. Before you can sell your property, you have to agree with your lender first because he will also experience some loss in this case. One of the things that you have to agree on is that, if there are any deficiencies with the loan you will still have to pay it. When facing foreclosure, there are two things that you can do to help yourself; don’t panic and never give up. If you panic, you can’t think properly and this will prevent you from soberly facing your problem and seek foreclosure help. When panic sets in, chances are you will feel helpless and debilitated and will eventually give up and just allow the foreclosure to happen. When foreclosure happens, you wreck your credit rating and lose your property; two things which I don’t believe you want to happen to you. So don’t panic, never give up and seek foreclosure help.